These are the 5 best TV shows 2018 you must watch immediately. The 5 very best TV shows of 2018. Here at Mamamia, we watch a lot of TV. A lot. Some might even say too much. But that’s exactly why we consider ourselves well-positioned to prepare our own list of the very best TV shows of the year. "Sabrina and her family are straight up Satan worshipers." Image: Netflix. Chilling Adventures of Sabrina is a dark twist on the 90s sitcom version of the story we all grew up with that writer Bella Flower "loved every second" of. It&apos;s set in Greendale where almost-16-year-old Sabrina is preparing for her Dark Baptism, where she&apos;ll write her name in the devil&apos;s book. At that moment, she&apos;ll be granted phenomenal power - with a few strings attached of course. 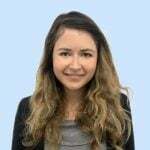 "I find the whole undertone of the power struggle against the patriarchy really interesting and I just love how different it is from the Melissa Joan Hart take," Bella said. Meanwhile, entertainment editor Laura Brodnik explained in her review of the series how although most reboots are well, terrible, she was willing to give this one a chance - and was so glad that she did. "Happily, there are quite a few genuinely creepy moments buried within this slow-burning new Netflix series. However, although the devils, demons and deaths in Sabrina can be unsettling to watch, the truly fearful moments of the series do not stem from the supernatural moments." "Instead, Sabrina is at its most chilling when its title character, a 16-year-old girl, is at her most vulnerable." Whether you&apos;re watching it for the horror, the teen drama or the feminist message - Sabrina is a 2018 series well worth the binge on Netflix. 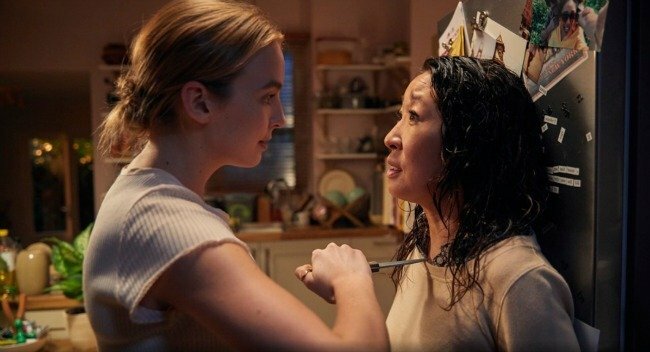 As Mamamia client solutions director Anna McDonald explained, Killing Eve is a drama series similar to the Bourne films, "but with more interesting characters, who happen to be female". It centres on an assassin and the MI5 agent, played by Grey Anatomy&apos;s Sandra Oh, assigned to track her down. For editor, Polly Taylor, the two "pitch-perfect female leads" in a series that felt unlike anything else on TV, made it her favourite show of the year. "It&apos;s messed up and dark but also somehow so funny." You can watch all eight episodes on ABC iView. This wouldn&apos;t be a &apos;top TV shows&apos; list without the number one UK drama Bodyguard, which gripped millions of viewers in Britain before it won Aussie hearts when it dropped on Netflix this October. 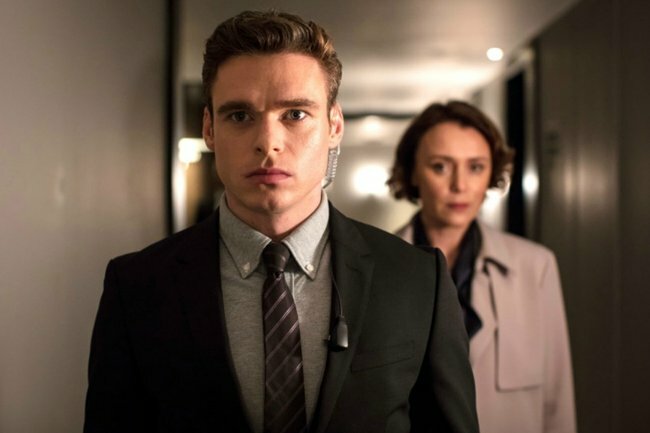 The political, action thriller, stars Game of Thrones’ Richard Madden (aka Robb Stark) as former soldier David Budd, who is assigned to be the bodyguard for the Home Secretary Julia Montague, played by British actress Keeley Hawes. Budd, who suffers from PTSD, has his work cut out for him protecting a woman whose political views and agenda make her a target for terrorists. Writer Amy Clark was one such viewer who became completely addicted to the six-part thriller. "The biggest thing The Bodyguard gets so right is its ability to keep every plot loop open right until the very end. Yes, there are heroes and villains, and you’ll have your suspicions about which characters are playing those roles, by the series’ finale, you as the viewer will genuinely not know whodunnit. "That’s why it’s so captivating. It’s also why I watched all six episodes in one sitting." If you&apos;ve got six hours free, you too can watch it in one sitting on Netflix. 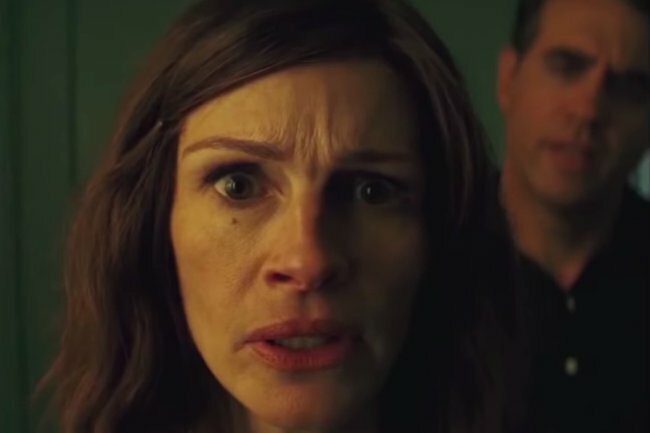 We&apos;re just guessing here, but maybe Big Little Lies and the success Reese Witherspoon and Nicole Kidman had starring in it, had something to do with Julia Roberts signing up to star in the TV thriller Homecoming. Based on the fictional podcast of the same name, the series follows the story of Heidi Bergman (Roberts) who works as a therapist for PTSD affected veterans at a facility called Homecoming. The therapist begins treating a young soldier, Walter Cruz, who appears to be well-adjusted, and is agreeable in his treatment. Then things get weird. The great acting and "genius" plot, coupled with some great cinematography had just about everyone who watched it, hooked. The 10-episode series is now streaming on Amazon Prime Video. Kidding is another example of the trend of TV shows attracting big-name stars because the story is just that good. 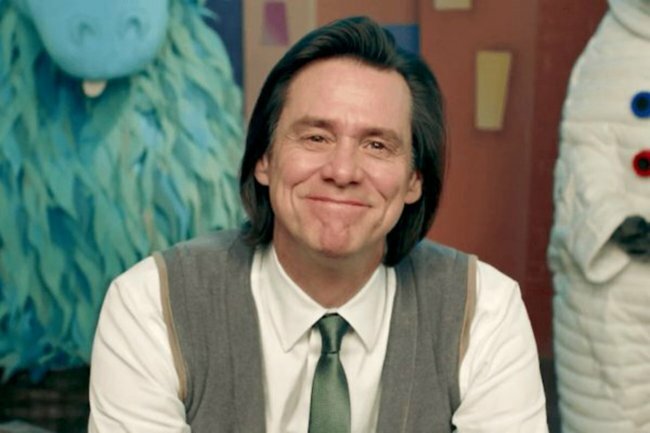 Jim Carey plays a beloved children&apos;s presenter who is struggling to cope with the death of his son - but of course, there&apos;s far more to the plot than that, with supporting characters offering up their own fascinating narratives. Personal assistant Peta Camilleri described the show as "pretty amazing" - and that does sum it up nicely. Kidding premiered on Showcase, but you can now watch it on Stan. Honourable mentions go to the absolutely hilarious Great News, the surreal, animated comedy Big Mouth and the Gossip-Girl-meets-Devil-Wears-Prada series The Bold Type, which although first premiering on screen in 2017, only made their way to most Australian viewers via Netflix and Stan this year. What was your favourite TV show of 2018?